On Wednesday, November 29, Holyoke High School hosted Brain Bowl. Many teams came and had a great experience. 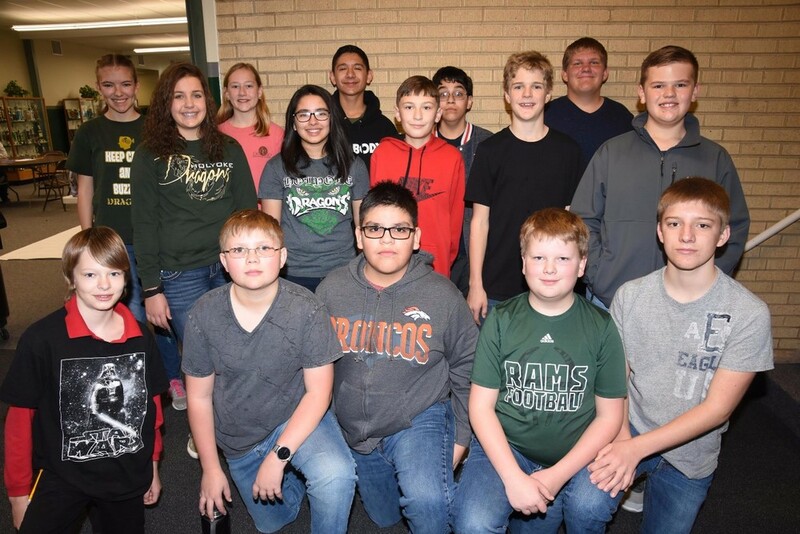 Both high school and junior high participated in Brain Bowl. One of the many junior highers was Ethan Schneller. Ethan is a 7th grader this year and has had a great experience with Brain Bowl so far. Ethan has been in Brain Bowl for 5 years, counting elementary school. Ethan said elementary and junior high Brain Bowl are different, but also quite similar. Junior high Brain Bowl has harder questions, of course, and Ethan said there are a lot more teams in junior high. Ethan was on the 7th grade team along with Max Kleve, Erin Anderson, Jimena Nunez, and Cooper Goldenstein. The coach of the team was Amber Schroetlin. The competition was pretty tough, but Ethan said he was still very proud of his team. Ethan’s team played against Akron, Wiggins, Burlington, and Fleming. The places were Burlington 1 with first place, Holyoke 1 with second place, and Fleming 1 with third place. When asked what his favorite part of the competition was, Ethan said getting to learn so many new things and getting to hang out with his friends. Brain Bowl is an amazing experience and everyone should try it out!